Conrad Felix Müller was born on 21 May 1897 in Dresden. It was not until 1917 that he adopted the artistic name Félixmüller. After an early training as a draughtsman at the Dresden Kunstgewerbeschule and at the Königliche Kunstakademie, Felixmüller started his own independent artistic career. From 1915 until 1928 the artist collaborated as an illustrator with contemporary magazines such as Der Sturm, Aktion and Menschen or, in the case of the latter, as a co-editor. Along with Heckel and Kirchner, Felixmüller restored the printmaking technique to the rank of primary art form adopting it as his principal mode of expression. Noteworthy among his most significant engraved images are the 1917 Depressed in Atelier and the 1919 Self-portrait. His first creative period of "Synthetic Cubism" is stylistically characterised by a dismantling of forms following the example of the French Cubism and Italian Futurism. The artist's eager desire to participate in the German aesthetic and political revolution led him to actively commit to the cause of Novembergruppe and in 1919 to assume the leadership of the Dresdner Neue Sezession Gruppe 19 that he had founded with Otto Dix. His communist convictions as well as his social commitment are typified by the series of works aimed at showing the miserable conditions of the miners in the Ruhr district. During the 1920s Felixmüller gradually came to abandon his expressionist Cubism and shifted to a more gentle and realistic style centred on portraiture. The break probably arose from the domestic atmosphere in which he had been living since he had married Londa Freiin von Berg as suggested by the 1921 Self- Portrait with Son (Private Collection). 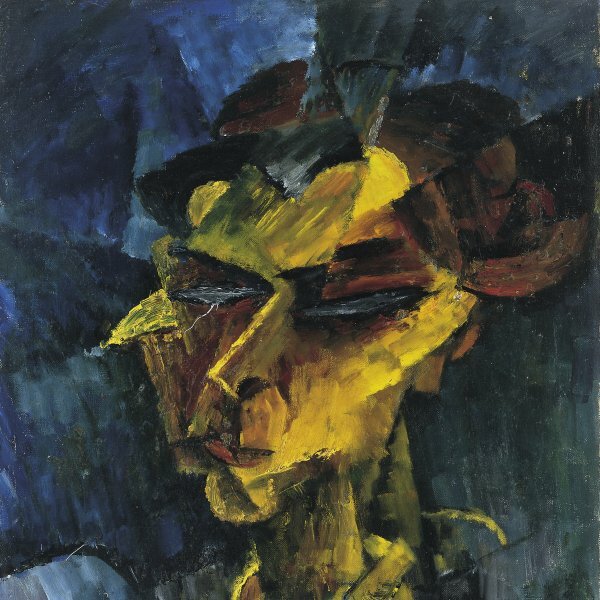 In 1923 his works were exhibited at the Nationalgalerie in Berlin. Jointly with other expressionist artists Felixmüller was judged as a degenerate artist during the 1937 exhibition Entartete Kunst, organized by the Nazis. As a consequence, in the early 1940s Felixmüller left Dresden and from 1941 until 1961 he lived between Damsdorf and Halle, where in 1949 he was appointed professor at the Martin-Luther UniversitÃ¤t in Halle. In 1967 he finally moved to Berlin where he lived until his death producing intimate and naturalistic works mainly referred to the private sphere of his personal environment.